General repairs to an asphalt built-up roof system can be accomplished quickly and effectively, using the using the following list of materials and hand tools. 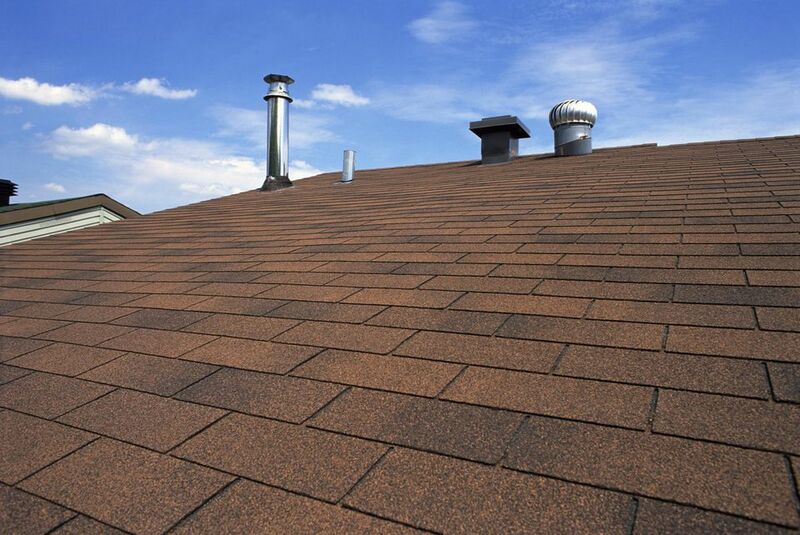 An important step in completing an effective repair to your low-sloped built-up roof system is to confirm that your roof system is, in fact, an asphalt-based roof system. The following method of repair is only applicable to roof systems that are asphalt-based. If your roof assembly is a single-ply membrane, such as EPDM or TPO, the application of asphalt repair material to the surface of the membrane can damage the membrane and lead to a much larger patch or even full replacement. The first step in repairing your built-up asphalt roof system is to clean the surface of the roof. This is a critical step and will ensure that your patch adheres properly to the surface and not to the dirt or stone that is on or embedded in the surface of the roof. This is a more difficult step if the surface of the roof is covered with a gravel surfacing. If so, the gravel must be removed prior to applying the patch. The purpose of gravel surfacing is to allow water to flow through and between the gravel, and if the patch is applied to the gravel without removing it, water may flow beneath the patch, allowing the leak to continue. To remove the gravel, use the flat portion of a pry bar, holding the tool upside down to scrape the gravel from the surface of the roof. The pry bar should be drawn in one direction, not back and forth. Remove the gravel at least four to six inches beyond the planned patch area. After the gravel is removed, use a dust brush to sweep the surface of the membrane free of all loose dust and dirt. Asphalt repair materials will not stick to the roof surface through dust and dirt. Once the surface of the patch area is free of all dust, debris and moisture, apply the liquid asphalt primer to the roof surface, with either a brush or roller. There are also products available in a spray can form which work well. Allow the primer to flash off so that there is no excess primer on the surface of the roof. A primer that is too wet will inhibit the adhesion of the patch. After the primer has dried, measure your asphalt-impregnated cotton fabric so that it extends at least three inches past the edge of the area to be patched. It is recommended that the patch is installed in a two-layer application. The first layer of the patch should be a 4-inch wide fabric, and the second layer six inches wide. Measure and cut the fabric with either a straight-blade utility knife or a pair of scissors. Use the trowel to apply a bed of asphalt flashing cement to the surface of the roof. The flashing cement should be applied at a uniform rate over the patch area, extending beyond the area where the cotton fabric will be applied. After the flashing cement has been applied, apply the four inches of cotton fabric into the cement, and use the trowel to embed the cotton fabric into the roof cement. Now, apply an additional layer of asphalt flashing cement over the patch, extending beyond the 4-inch patch already applied. Embed a single layer of 6" cotton fabric over the patch, ensuring it extends beyond the 4-inch patch in all directions. Use the trowel to press the patch fully into the flashing cement. After both layers of fabric have been installed, apply a finish coat of asphalt mastic to the roof patch. If the patch is being applied to a gravel-surfaced roof system, reset the gravel over the area to conceal the repair and maintain the uniformity of appearance of the overall roof.